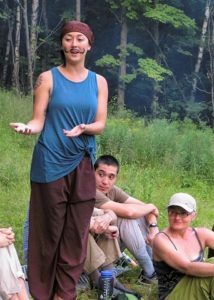 The MLS program offered a rich daily practice schedule where we deepened our practice with teachings on meditation, yoga, chanting, and personal reflection through discussion, writing and art. 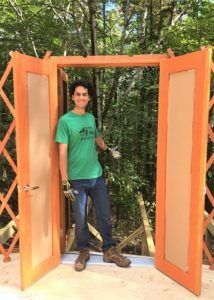 We worked on many projects improving the campus, including a new trail around Blueberry Pond, carpentry projects, sewing cushions, supporting the retreats and growing delicious vegetables! This year we began to offer more weekend retreats. These offer a time for quiet practice, candle lit chanting and sitting in the hall, reflective writing, warm conversations and friendship. They have brought renewal and happiness to many people. Topics included: “Winter Renewal”, “Coming Home to our Interbeing Nature”, “Meditation as Transformation”, and “Cultivating a Fresh Clear Mind”. Early in the year we began to host a monthly Day of Mindfulness for the Order of Interbeing. 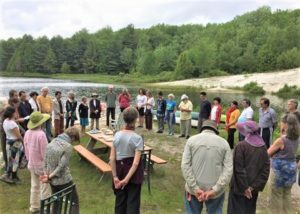 Venerable Thich Nhat Hanh created this order during the Vietnam war to support people who aspired to transform situations of suffering and to build a community of practice to support that work. Much of our inspiration at Morning Sun comes from years of living and working as members of the Order of Interbeing. 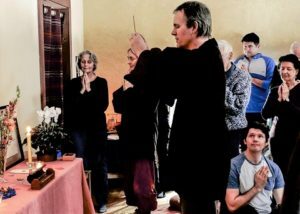 Now, many Order of Interbeing members organize local practice groups all over the world that meet regularly, usually at least once a week, to help keep their practice alive and growing. By offering a chance for Order members to deepen their practice and strengthen their relationships with each other we hope to support the strength of practice in our region and larger global community. Check our calendar for the next OI event.